Supradyn best price propecia in uk generic propecia propecia for men to buy propecia germany ??? 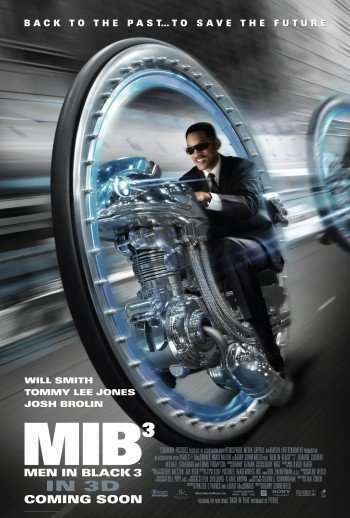 Open in theaters now, MEN IN BLACK 3 is the third in the series of action/comedies focused on special government agents charged with ridding the world of intergalactic creatures living amongst us. 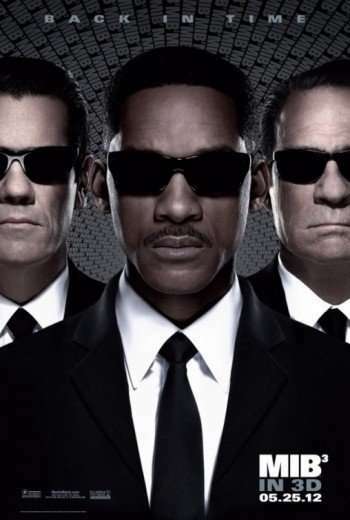 Once again directed by BARRY SONNENFELD, the cast reunites WILL SMITH and TOMMY LEE JONES as special agents ‘J’ and ‘K’ respectively as well as introducing JOSH BROLIN as a young (completely spot-on) version of ‘K’. 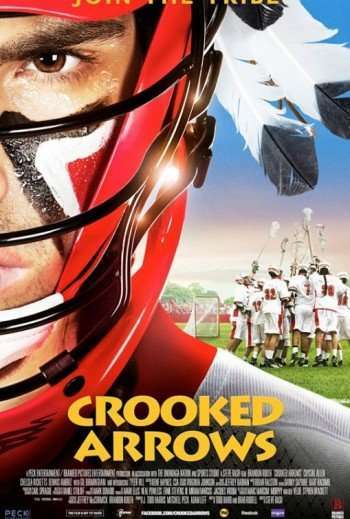 Soon to be seen in the feature length film CROOKED ARROWS as a prep school lacrosse coach working to get his guys through a national tournament, actor BRANDON ROUTH has been keeping his dance card pretty full. Next up, he co-stars with SOPHIA BUSH, DAVID KRUMHOLTZ, MICHAEL URIE and MOLLY SHANNON in the new CBS-TV sitcom PARTNERS. With last year’s passing of filmmaker Sidney Lumet (Serpico, Prince of the City), I wondered if police dramas would ever be the same. It was an all too sentimental notion since that genre, along with the Western and film noir, are always subject to innovative and gripping interpretation. French filmmaker Maiwenn’s morally ambiguous and absorbing narrative Polisse, which details the lives of members of the Paris CPU (Child Protection Unit). The film begins with the camera focusing on a wide eyed girl answering questions about her father, who’s accused of molestation. The questioner, a CPU member, has her back to the camera as viewers listen to the girl’s harrowing story. The opening moments are just many sequences which stand out in Polisse, as we encounter the police’s frustrations with bureaucracy and, most of all, the exacting tragedies suffered by the families (an inescapable pain also takes its inevitable pound of flesh from the dedicated officers). 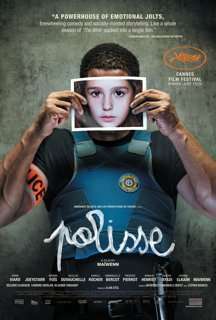 Polisse, now playing in select theaters, is also available (starting today) via Video on Demand from Sundance Selects. 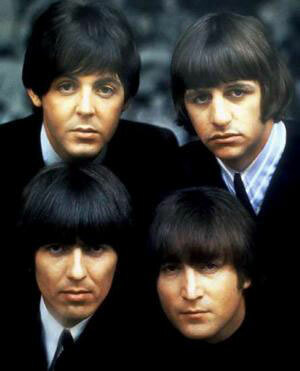 The feature was honored with the Jury Prize at last year’s Cannes Film Festival. 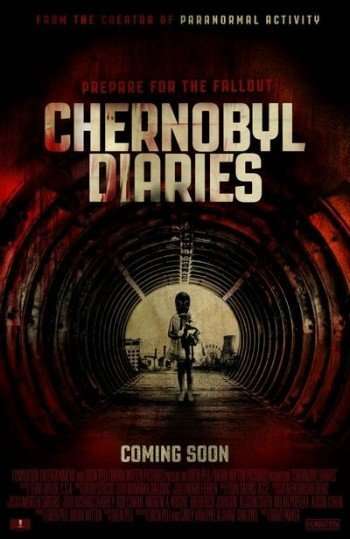 In the new teen horror film CHERNOBYL DIARIES, six young American tourists hire an extreme tour guide to take them to a deserted town said to be abandoned in the wake of the notorious Chernobyl nuclear meltdown disaster. While there, they discover the town isn’t quite as deserted as they thought. Directed by first-timer BRADLEY PARKER, the cast includes JESSE McCARTNEY, JONATHAN SADOWSKI, OLIVIA DUDLEY, DEVIN KELLEY, NATHAN PHILLIPS and INGRID BOLSA BERDAL. 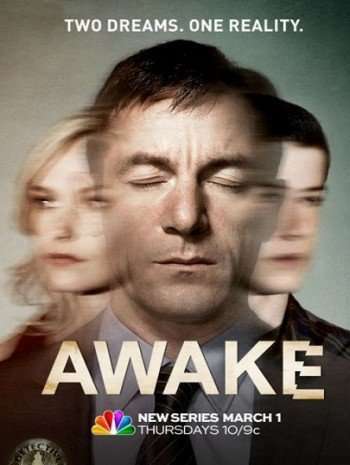 Airing its last episode tonight, AWAKE is a complex psychological thriller about a police detective trying to cope with what appears to be a double life. Following a tragic car accident, he finds himself awake in two separate realities: one where his teen son died in the crash and his wife survived; and another where his wife died leaving he and his son to pick up the pieces. Despite working with psychiatrists in both worlds, he’s unable to distinguish which life is real and which is a dream. The cast includes JASON ISAACS, LAURA ALLEN, WILMER VALDERRAMA, CHERRY JONES, B.D. WONG and DYLAN MINNETTE. That the series is biting the dust after just one season is probably more due to its complicated plot line than any lack of effort on the part of the stars. During our interview with ISAACS at the Television Critics Association press event, he talked about how exhausting the work on this show was. In select theaters this week, MOONRISE KINGDOM is a wry coming-of-age story set in a 1960’s New England town where a young boy and girl attempt to run away together and spark a community-wide mobilization to track them down. 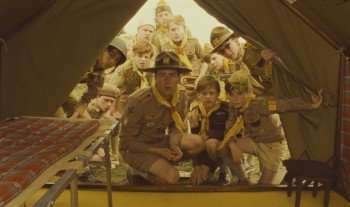 Co-written (with ROMAN COPPOLA) and directed by WES ANDERSON, the all-star ensemble cast includes EDWARD NORTON, BRUCE WILLIS, BILL MURRAY, TILDA SWINTON, HARVEY KEITEL, FRANCES McDORMAND, JASON SCHWARTZMAN and BOB BALABAN as well as newcomers JARED GILMAN and KARA HAYWARD. 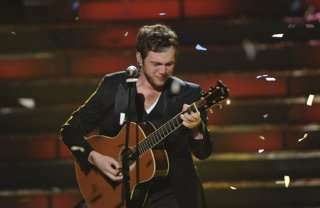 ‘AMERICAN IDOL’ CROWNS PHILLIP PHILLIPS – IS THE THRILL REALLY GONE? Posted by: Hollywood Outbreak | Comments Comments Off on ‘AMERICAN IDOL’ CROWNS PHILLIP PHILLIPS – IS THE THRILL REALLY GONE? In a decision that probably surprised no one except Filipino voters and Jessica Sanchez’s family (and ardent fans), Phillip Phillips took home the American Idol crown during the show’s 11th season finale. Phillips is the seventh guy to win Idol, with Jordin Sparks the last female singer to receive the honor in season six (in case you’re counting, after Sparks, the champs were David Cook, Kris Allen, Lee DeWyze, and Scotty McCreery). Sanchez, who’s all of 16, has the polished, powerhouse voice many artists would love to have. Phillips, however, is a completely deserving winner, as his easy like Sunday morning charm and innate sensitivity (watching him cry during his victory song was easily this season’s most evocative moment) was definitely endearing. Plus, he pretty much sounds like Dave Matthews, which isn’t a bad thing either. I’ve been a devoted Idol watcher since its second season (post Brian Dunkleman), and during the early years the finales actually had me truly guessing which hopeful would win it all (especially during the Taylor Hicks vs. Katharine McPhee and Ruben Studdard vs. Clay Aiken seasons). The last five winners have all been cute (and talented) guys, which begs the question: did Crystal Bowersox, Lauren Alaina, and Jessica Sanchez know they actually stand a ghost of a chance during finals night? American Idol’s train will continue to roll on, and even with the existence of The X Factor and The Voice, my interest in Idol still hasn’t waned. I just wish the show still possessed that element of surprise, but as long as telegenic guys with guitars exist, a majority of Idol voters won’t change their tune, which actually is fine by me. How it sits with the female contestants, however, is probably another story. 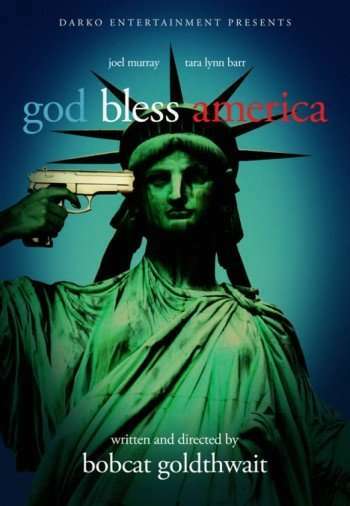 Comments Comments Off on ‘AMERICAN IDOL’ CROWNS PHILLIP PHILLIPS – IS THE THRILL REALLY GONE? You've seen him on television on the Fox News Channel, CNN and MSNBC You've heard him weekly on The Savage Nation and he is a frequent guest on all the top shows in radio. Now you can get his audio report online weekly in formats ready for airplay. Best-selling author and cultural reporter, James Hirsen's exclusive new report that will keep your audience entertained and informed.